Last week, a wonderful thing happened on the island of Oahu in the State of Hawai’i. The people living there received a wonderful gift as radio station KQMQ in Honolulu “flipped” to a new format…reggae with some contemporary Hawai’ian music thrown in for good measure. Unfortunately, the press has gotten it wrong when informing Hawai’ians (and the world) about this station. Most are calling it “all-reggae” and ignoring the extra bit of spice thrown in of locally-inspired music (although, admittedly, a good portion of contemporary Hawai’ian music does have a reggae influence). In addition, even if it was all-reggae, the reports calling it the first such station in the United States of America are also incorrect. There was another station in the Aloha State that was all-reggae that has since changed its format. 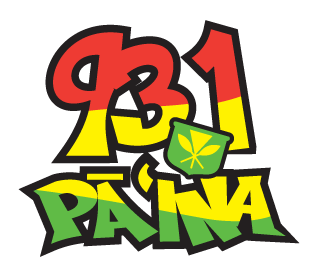 Regardless of the inaccuracies of the few media outlets that reported on this news, “Da Pa’ina 93.1” should be a welcome addition for those that love reggae but want it “live” instead of through the sterility of services like Pandora. Click on the logo to visit the KQMQ - Da Pa'ina 93.1 website.